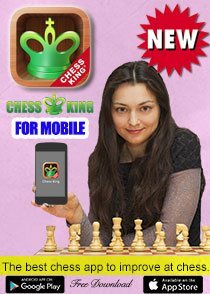 With a great pleasure I'm introducing another woman chess star - Antoaneta Stefanova. Winning the Women's World Chess Championship in Elista, Russia in 2004, Antoaneta became the 10th women's world chess champion. She's been one of the leaders of the women's chess for many years and she's also been very succesful in men's tournament, beating many strong GM's. When I was 5 years old my father Andon Stefanova showed me and my sister Ani how to play. We loved it instantly. I was several times World and European champion in diferent age groups as a child, European Women Champion 2002, Women World Champion 2004-2006, Winner in the first World Mind Sports Games-Rapid 2008. I have also won many tournaments for both Men and Women. What is your peak rating? Yes, although I am also finishing my Master degree in Finance this year. I play many tournaments, so I take some days off between them. But when preparing for important event, I work up to 8 hours per day. My trainer from 5 to 16 years old was my father. We were mainly working with books and computer programs when they appeared. 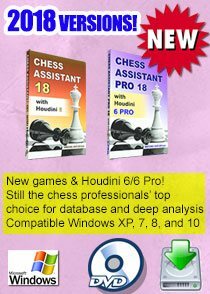 Later on I have worked occasionally with several Grandmaster - I would like to mention GM Vladimir Georgiev - who has helped me a lot during the World Championship 2004, GM Kiril Georgiev - one of the strongest ever Bulgarian chess players, and GM Atanas Kolev who has also been the coach of the Bulgarian Women National team as well. I do not have a permanent trainer though,it costs a lot,and without the help of the federation or a personal sponsor it is imposible. 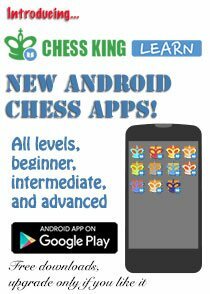 What do you study most: openings, middle game or endgames? I try to study all stages of the game. 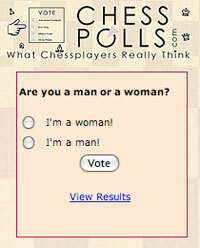 Do you prefer to play chess with men or with women? Why do you think men are stronger than women in chess? It is very complex - historicly women have not been encouraged to play chess from early age. We see now more female players getting stronger, but still there is very litle attention paid by federations, sponsors or organisers. There are also objective reasons - I believe in order to perform well in long term a chess player needs to be in a very good physical shape and in that of course men have advantage.That is why I think is correct to have separate WomenChampionships. When did you feel happiest about being a chess player? Why? I feel happy every time I play a good game. If you had not become a chess player what career would you have chosen? How many brothers and sisters are there in your family? I have one elder sister. 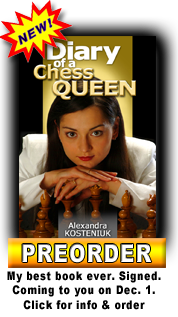 You became chess history's 10th women's world chess champion, how did you feel at the moment you won that title? To be honest in the first moments I was too tired to understand what it means.Only later,when I returned home in Bulgaria and saw haw happy and proud are my family,friends and complete strangers,it hit me-I was the first ever Bulgarian Chess World Champion. Did you life change significantly after your world title? It did in several ways. It meant more invitations to strong tournaments, but also lots of responsabilities representing my country and Women Chess around the world. I have a nice appartment near the biggest park in downtown - Sofia. I like all of Dvoretsky and Nunn's books. 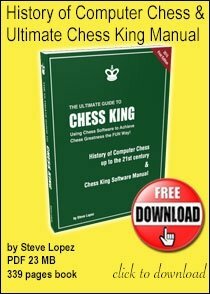 What is your favorite non-chess book? It is dificult to name one. I love reading and read absolutely everything. Right now I am reading Giacomo Casanova-Histoare de ma vie, and Michael Newton - Life between lives. I enjoy most of the games I win, but I am also aware of the many mistakes in them. If I have to name one perhaps it should be the game I won against GM M.Gurevich at Gibtelecom Masters 2008 in Gibraltar. Reading, dancing and drawing pictures. My father is an artist, so probably I got my love for art from him. If FIDE, the players and organisers start working together to make more interesting events - then yes. Probably Russia and Spain, but if it is about organising team events then it should be Greece, Turkey and Bulgaria. To see the day when Women Chess will be as popular as Men's. What are your future plans for this year? Several Open Tournaments, a strong Mixed Round Robin in Antwerpen in September, European Club Cup and European Team championship. What is the main difference between women’s chess nowadays and women’s chess when you were just starting playing chess? I believe Women Chess has developed very much in the last 20 years-we see now many more strong players. Also the whole system of Women events is developing. It was good to witness the begining of the European Individual Women Championship, the knockout World Championship, Fide Women Gran Prix and more. Of course, I hope we'll see many more to come - for example regular World and European Rapid and Blitz championship as well as tournaments for all level Women Chess players around the world. 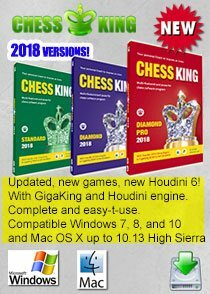 Lately we are seeing many things happening in chess in Bulgaria, is chess very popular in your country? Do you have special support from the government for playing chess? Do people recognize your in the streets? In Bulgaria Chess was always well respected,and almost everyone knows at least the basic rules of the game. Unfortunately in the last years there are many economical problems in the country and many traditional events has been canceled. Also the budget of the federation is very small,with a litle help from the goverment. It is dificult to attract sponsors in this moment, but the fact that World top level events like Mtel Masters are organised every year gives me hope that it will be better with time. Otherwise the top players are quite well known for the public, so, yes people recognise me in the streets. If we want chess to be televised then probably we should have more top level Rapid and Blitz events. I also like the idea of the "Glass Cube'" which was used in Bilbao and Mtel Masters-playng in open air gives a better way to the audience and media to follow the tournaments.In general I believe in every country and every event the organisers should try to work better with the media. The chess players should also follow some dress code regulations and be more media friendly. Stefanova is a fantastic champion and she's finishing a Master degree in Finance, wow!!!! Thanks for saying Greece is a good chess organizer country! I knew it when the first time I saw you 20 yrs ago(Manila Olympiad) you will be a great chess player and a world champion. Keep it up!